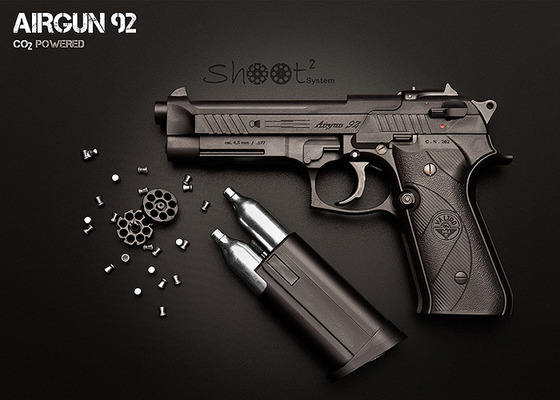 I am happy to announce that we will be receiving brand new to North America, the Airgun 92! 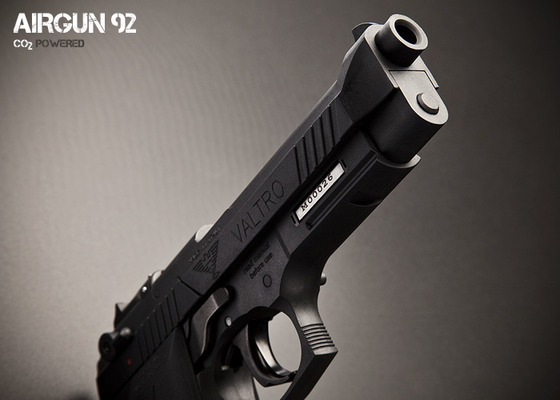 This Beretta 92 FS styled pellet shooter is made in Italy by Valtro and utilizes a brand new air pistol design that utilizes their Shoot2 System. The Shoot2 System uses two CO2 cartridges and a 14 round double rotary magazines design to get more consistent and higher fps pellet velocities. 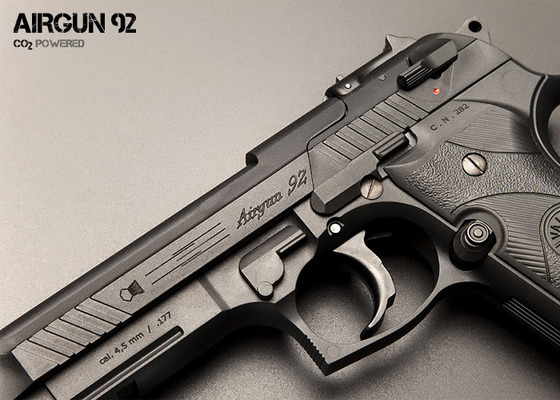 We will have the Airgun 92 in stock by mid April so make sure to get your pre-orders in right away!